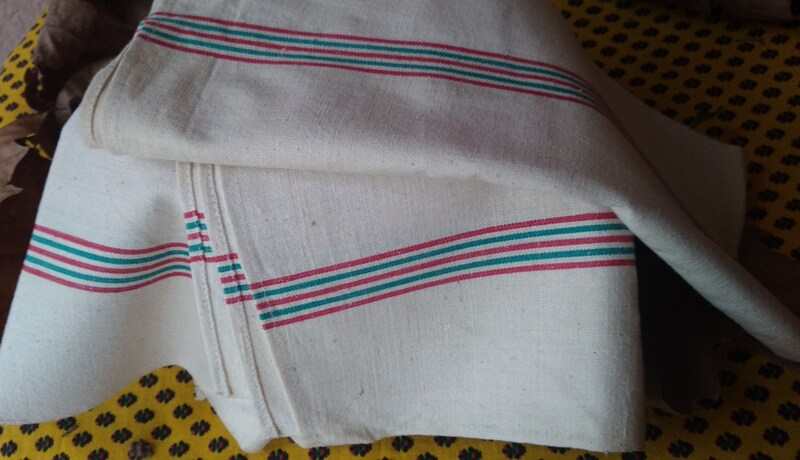 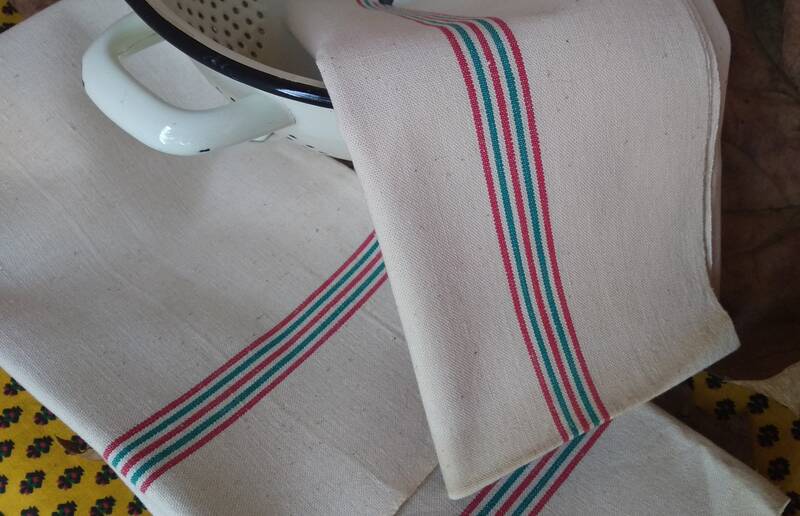 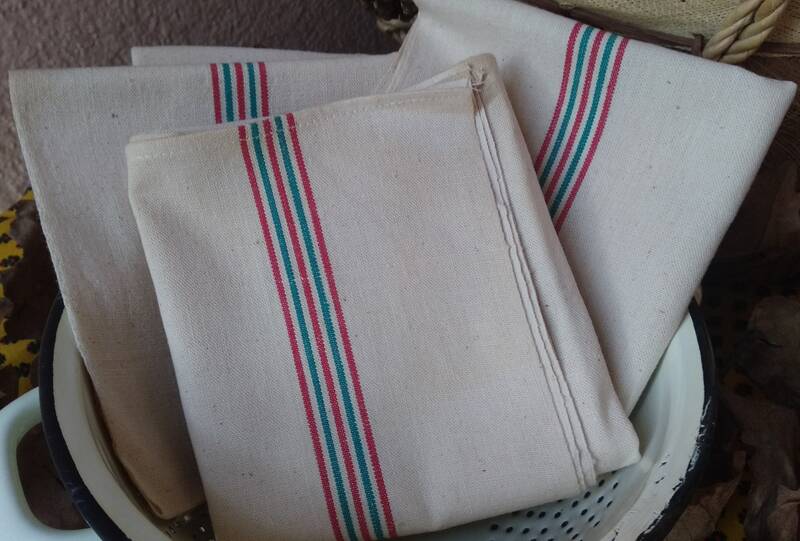 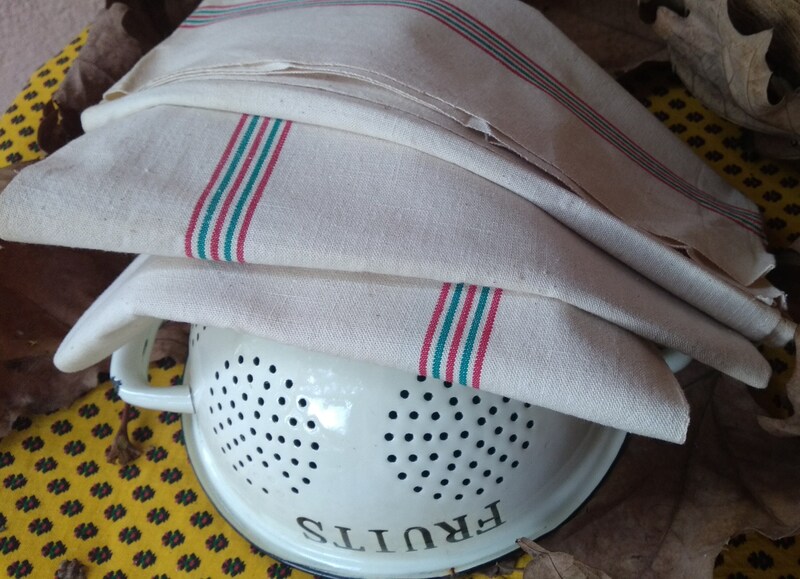 3 Large Mid- Century French metis linen dish cloth with red and green lines. 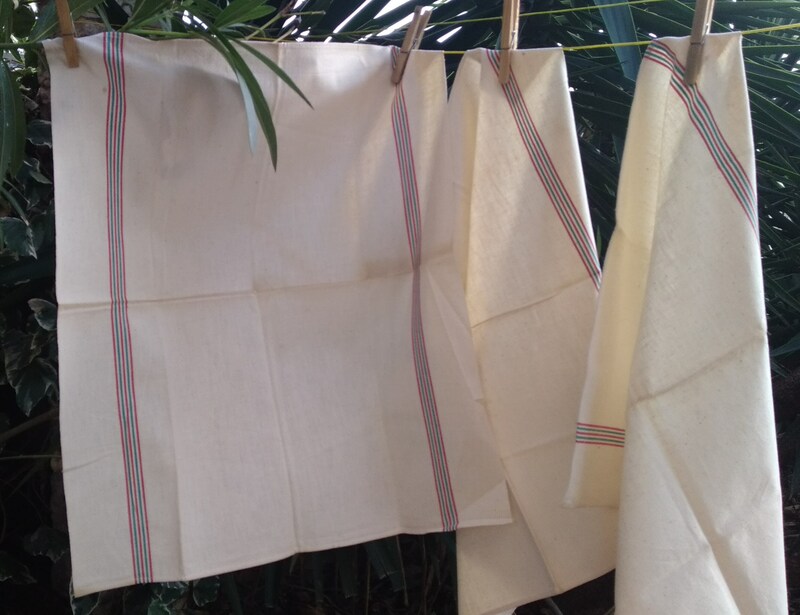 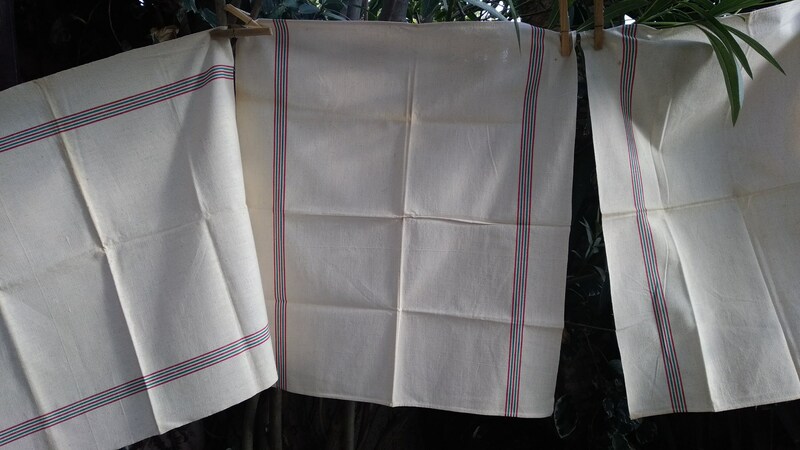 Off White Metis Linen made . 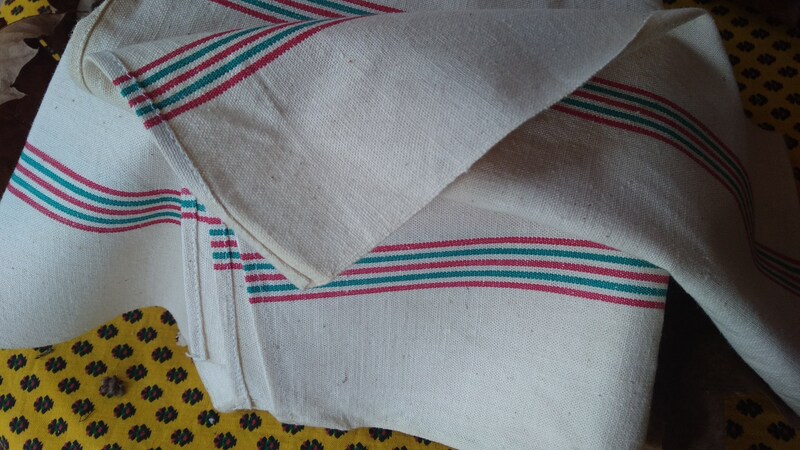 Unused (unwashed removable time stains). 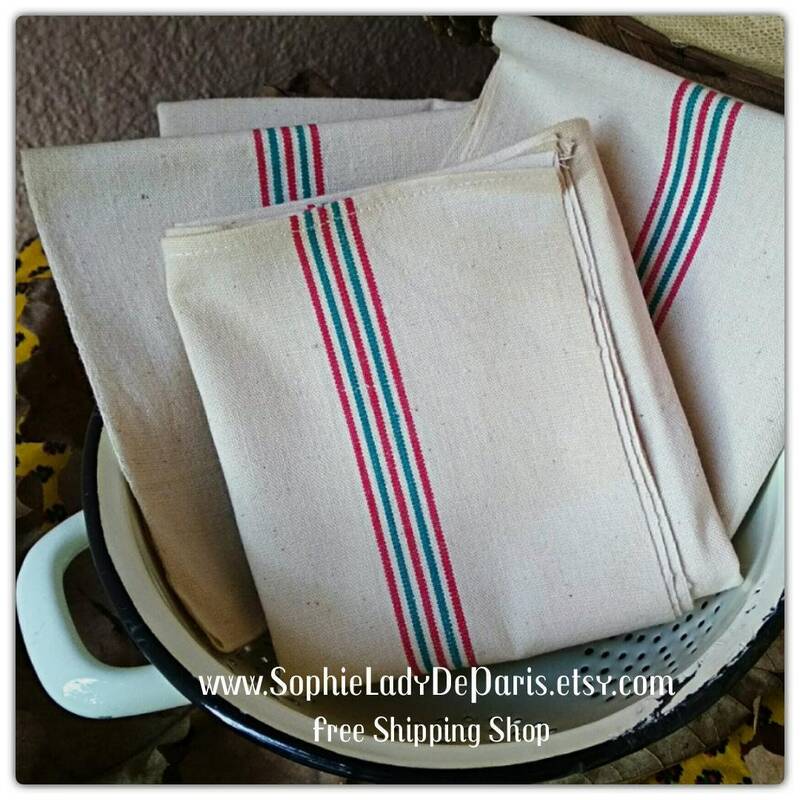 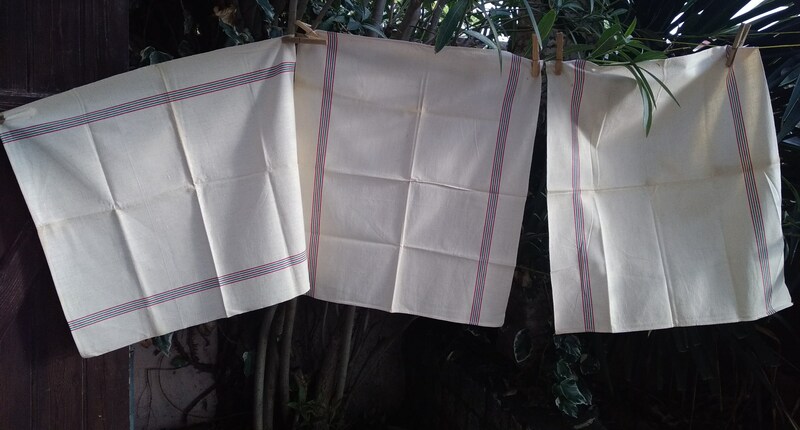 Rustic French country side kitchen towels ! 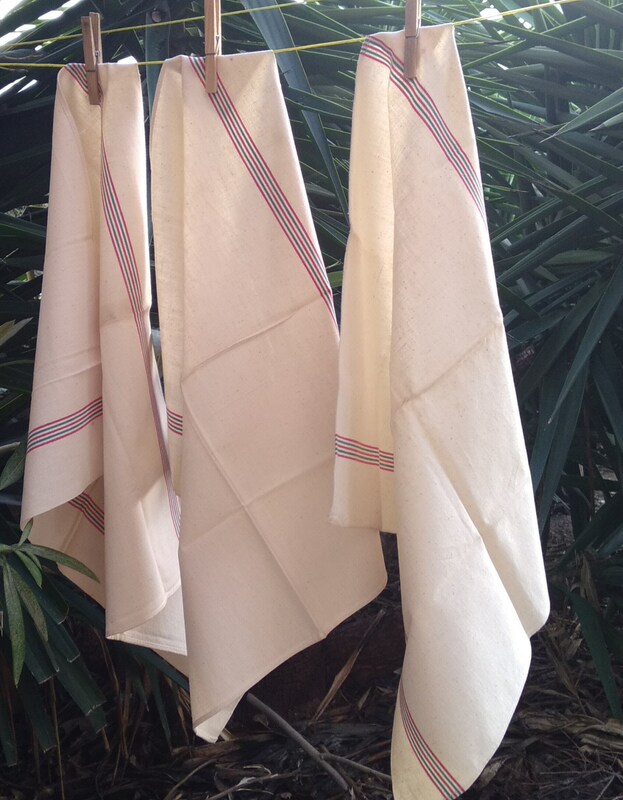 METIS is linen woven with cotton : mixing both qualities cotton and linen: absorbing, resistant, non- deformable.